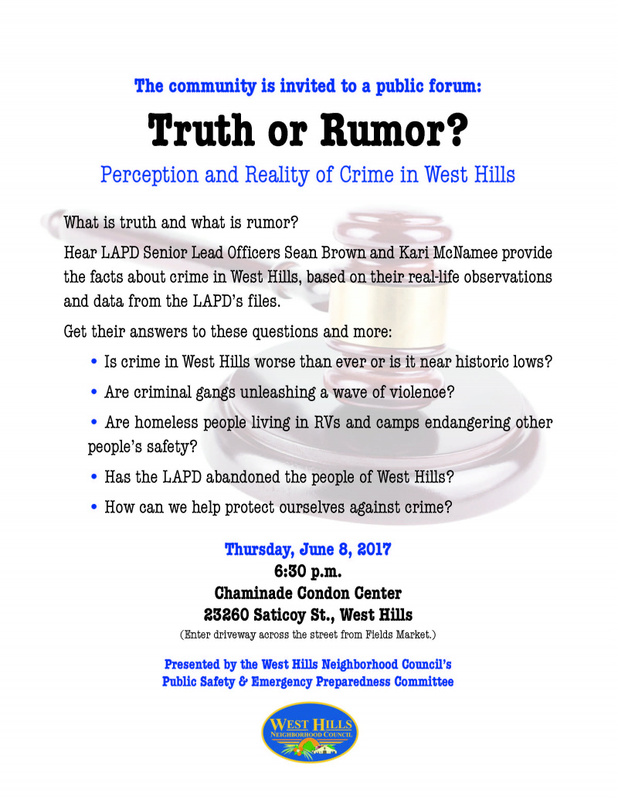 West Hills Neighborhood Council | Events | Truth or Rumor? Perception and Reality of Crime in West Hills. Truth or Rumor? Perception and Reality of Crime in West Hills.